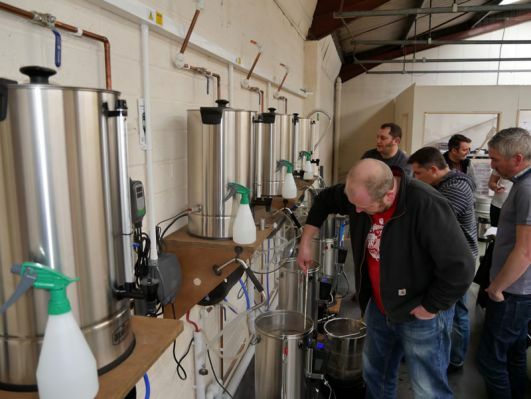 Come and learn how to all grain brew on the Grainfather, this is a hands on experience day which will see you leaving with the knowledge to brew your own beer and 40 pints of wort to ferment at home. Come enjoy the chance to come and brew here at The Malt Miller on our Grainfather Brewing Stations. No brewing experience is required, as our instructor will guide you through the complete process from start to finish. At the end of the day each brewer will take away 40 pints ( 23 litres ) of wort to ferment at home, fermenter and yeast is included. Whilst here at The Malt Miller, all brewers will have the opportunity to discover the amazing flavours that can be produced using the 80 different types of malt, hops and yeast that will be available for the brewers to try. This is an unrivalled voyage of discovery and will be of huge benefit to both the new and experienced brewer. 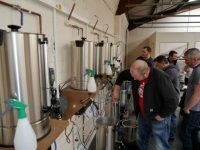 Henry *****: “I can recommend the day to anyone starting out home brewing, to those who, like myself, have had some experience with the Grainfather (5 brews) but want to learn how to really get the best out of it from the experts. Lunch and refreshments are provided. Please expect to be on premises for approximately 7 hours with a 9.30 start.